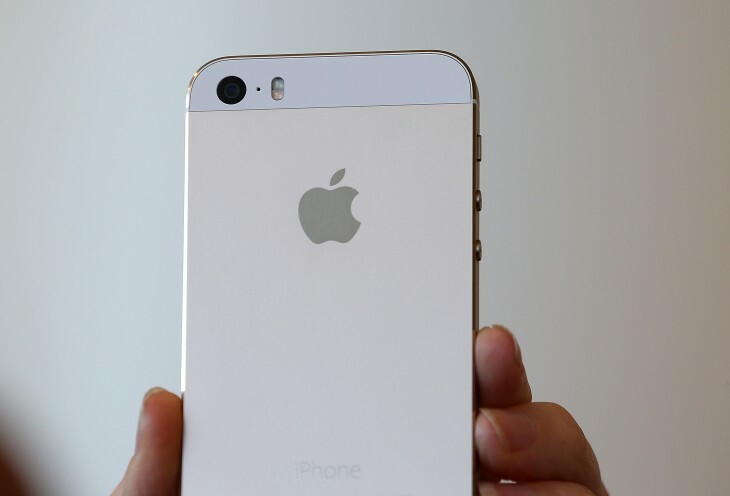 Buying an iPhone 5s or 5c in the US? We Crunched the Numbers. As the four major US carriers get ready to sell Apple’s new iPhones on Friday, we took a look at their respective monthly plans to see how much the handsets cost over the full two years. AT&T and Verizon continue to have fairly traditional monthly plans with a range of choices, while T-Mobile and Sprint are eager to differentiate themselves from their larger competitors with simpler unlimited plans. We’ve broken out the plans into estimated monthly payments and two-year totals for the cheapest plans, excluding taxes and fees. Prices listed are for new subscribers. AT&T and T-Mobile also have off-contract prices since Apple sells an unlocked version that works on GSM carriers. Sprint and Verizon may offer full-price versions on their own, but they haven’t listed them yet. You can currently pick from three main types of plans on AT&T: MobileShare, FamilyTalk and Individual. MobileShare offers unlimited voice and messaging and all members of the plan share a single pool of data. FamilyTalk members have a pool of minutes, can pay extra for unlimited messaging for the whole family and pay for data on a per-device basis. Individual plans include a chunk of minutes and messaging and data cost extra. AT&T also offers a new Next payment program for more frequent phone upgrades. The way Next works is that you pay 20 monthly installments on a new iPhone with the option to turn the device in and upgrade to a new one after 12 months. If you decide to cancel your wireless plan, the remaining balance on the phone will become due. The MobileShare plans start at $70 a month for unlimited voice and messaging and 300MB of data. Extra lines cost $45. Starts at $69.99 a month for 700 minutes for two lines. Messaging and data are extra. AT&T’s Individual plans start at $39.99, but you’ll have to pay $20 for text messages and at least $20 for data. Sprint’s plans start at $70 a month for 1GB of data and unlimited voice and messaging. Unlimited data costs $80 per month, and unlimited data plus 5GB of wireless hotspot costs $110. Adding a second line has a modest $10 discount. The Simple Choice plan at T-Mobile includes unlimited talk, text and Internet, but its base $50 plan sets limits on how much “full-speed data” you can use per month. If you want full unlimited data use, you’ll have to go with the $80 a month plan. The operator also offers a $10 per month Jump plan that lets you upgrade your phone twice a year (after a six-month waiting period). Since Verizon hasn’t announced its Edge plans for the iPhone 5s yet, we’ve only listed the iPhone 5c installment pricing. After looking at each of the offerings, T-Mobile’s “uncarrier” strategy does seem pretty customer-friendly. You’ll end up having to pick up the tab for most of the phone on your own, but you’ll save having to pay extra for data and messaging services. Before you make the jump, though, make sure you check T-Mobile’s coverage in your area, as it has a smaller LTE footprint than its bigger rivals. If you want to dip into unlimited data without hitting T-Mobile’s throttling caps, Sprint’s $80 unlimited plan is appealing, but the carrier’s packages seem best suited for one or two lines, rather than larger families. Meanwhile, Verizon’s probably the best bet if reception is your priority. T-Mobile’s Jump and AT&T’s Next are interesting programs, but they’re really only a good fit for the most eager upgraders. At the 12-month mark, Next is a bit cheaper than Jump, which includes a $10 monthly fee, but T-Mobile, to its credit, includes accidental damage, theft and loss insurance with Jump. That same insurance costs $8 a month if you pay for it on its own. Verizon will also offer the iPhone 5c on its Edge installment plan, but it has yet to announce pricing for the iPhone 5s. I’m also astounded that AT&T still gets away with charging $20 for individual messaging plans since so many customers have moved to over-the-top services like iMessage, Whatsapp and Viber. So there you have it. If you’ve made up your mind, you can already pre-order the iPhone 5c, but you’ll have to wait until Friday for the iPhone 5s.